Emily has always been reluctant to "let people in" and the death of her mother has exacerbated the condition. She pushed away her long term boyfriend, Edward, and her flatmate Alice is determined to find her the right man. 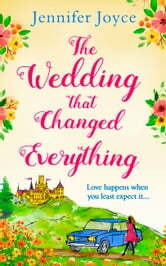 When Alice wangles Emily an invitation to a family wedding at Durban Castle Emily agrees to let her matchmake for the week of the festivities and then let it drop. Cue a series of misunderstandings about men and a revelation of a secret. Pretty much standard fare really. Either I read too much of this kind of thing or there really are no shocks here with everything being flagged up well before it happens. The characters are okay. Maybe the best one is the incorrigable Archie who does manage to confuse both on the page and off as he very much works to his own agenda. There is a stab at genuine depth with both Emily and Tom but it never really comes off and I was pretty much apathetic to the both of them. Everyone else is really just filler and fluff with Alice, Carolyn and Francelia being extremely one dimensional stereotypes. However, the fact I can remember their names a couple of days after finishing the book does mean that they are memorable in their lack of complexity and as I sometimes struggle to remember main protagonist names on the day of finishing that means there must be something right about them. The plot trots along on it's merry way with the setting being more interesting than the machinations of the various people involved. The options for misunderstanding and revelations about the past are flagged up in almost neon lights so it doesn't really have a page turning factor to it. You do want to keep reading though as it is quite tender and life affirming in it's cliches. Not a book to set the world on fire but a perfect holiday read that will leave you feeling quite content and not feeling as though you have wasted your time reading it. Being down with the flu, I wanted to read an extremely light feel good book, but I had a condition, the main character should not a dumb, simpering teenagery character. And I am glad to say that this book ticks all my boxes. Alice and Emily, BFF, share a home, when Alice’s wicked stepmother invites Emily to Alice’s sister’s wedding. Since her break up and her mother’s death, Emily has had some knocks in life. Not believing in HEA (happily ever after), she is single by choice. So Alice considers it her moral duty as a friend, to hook Emily up with a series of unwanted dates. And this wedding too continues to be a venue for matchmaking… This is my first book by Jennifer Joyce, and I was happy to read about Emily, a teacher and quite a sensible woman, happy with her choices. I liked that she is portrayed as a strong woman, hates being a damsel in distress, and does not need a man to feel complete. Though quite cynical about love, there is a story to back that up. I found her quite amusingly sarky in some of her comments, and I couldn’t help but smile at quite a few scenarios written in the book. The wedding held in a Castle has a week long pre-wedding events, and some of them were quite new to me and they were cutely quirky. Being a feel good book, there is a hint of romance with either Tom and Archie. But that is not the main theme of the story. It was fun to see Emily hiding from Alice to avoid matchmaking, getting lost in the woods once or twice, landing behind the rose bushes, battlling the bee, finding herself in unbelievably funny twists. I found Emily vacillating unnecessarily instead of bring upfront, as she is portrayed. But leaving that aside, it was a pleasant fast 3 hour read from start to finish. A book like this, lifts up the weary heart, brings a smile, and is easy to read and love.